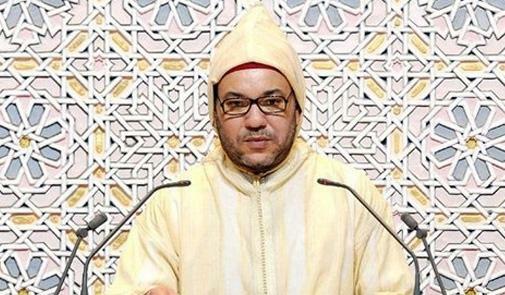 King Mohammed VI has called on Moroccan administrations and institutions to streamline their services, to simplify procedures and to make sure that they are always accessible and available to the citizens. In a speech he made Friday on the occasion of the opening of the legislative year, the Sovereign said “the goal all institutions should strive to attain is to serve the citizen. Should they fail in that mission, it would mean they serve no purpose and have, as a result, no raison d’être”. “If all matters have to go through central government departments in Rabat, then what is the use of decentralization, of regionalization and of devolution, which we have been striving to achieve since the 1980s?” the King wondered in his address before the Parliament’s two houses, the Chamber of Advisors and the new House of Representatives, elected at the Oct.07 polls. For the Moroccan Sovereign, managing the citizens’ affairs and serving their interests are both “a national responsibility and a sacred trust”, which means there is no room for negligence or procrastination. “Regrettably, some people take advantage of the mandate granted to them by the citizens to run public affairs, giving precedence to personal and party interests over public interest, for electoral considerations”, deplored King Mohammed VI. He also raised the issue of citizens seeking royal assistance to solve countless problems or to overcome difficulties. “Some people do not understand why citizens seek the assistance of their King to resolve simple problems and issues. What this means, in fact, is that something, somewhere, is not functioning properly”, stressed the Sovereign. 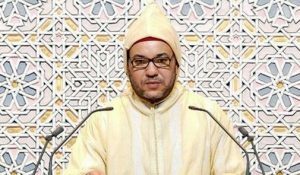 Citizens seek royal assistance “because they find doors shut, or because of some shortcomings in the work of state agencies, or because they want to bemoan some injustice they have suffered,” said King Mohammed VI. According to the Monarch, state agencies are suffering from several shortcomings, including weak performance, inflated workforce, lack of competence and the absence of a sense of responsibility among many employees. “The official or civil servant who holds public office, or exercises public authority that entrusts him or her with people’s affairs and interests, should at least fulfill public service obligations and seek to help people”, said the Sovereign, affirming that civil service cannot accommodate all Moroccans and its recruitment should be based on competence, merit and equal opportunity. “Therefore, I urge everyone – the Government, Parliament, political parties, trade unions, civil society organizations and civil servants – to commit to a keen sense of national responsibility in order to come up with real solutions so as to enhance the performance of state agencies and to improve the quality of the services offered to the citizens,” he stressed. Written by: Jaber Ali on October 14, 2016. Posted by Jaber Ali on Oct 14 2016. Filed under Headlines, World News. You can follow any responses to this entry through the RSS 2.0. Both comments and pings are currently closed.